Spring Break is officially over so me, the hubs and our pinks are back to the old routine. We had such fun relaxing and doing family stuff over the last week. I was so happy to even have the time to work on two, dejected little tables. I endeavored to save them from an empty existence in our attic due to my best intentions of a makeover never actually happening outside the part of my brain overflowing with ideas. I have hung on to these tables picked up from Wal Mart several years ago because we needed end tables in our bedroom. I have not used them in years (I'm kinda not a dark wood kind of girl) but figured I could give them some love and sweet talking to make them happy, useful tables again. They are sorta dark with this rattan thing in the center that chipped stain very easily. But they were cheap and I needed to put my lamps on something. :) I wanted to go light and bright with a cottage feel. We had leftover bead board from the previous owners so I figured we could cut some squares and attach them to the recessed part of the table. So first things first...I sanded those bad boys. Don't you love the simplicity of that sentence even though the reality is that sanding takes forever, reveals sweat glands you did not know you had, and did I mention takes forever? Then some painting. Much more fun. I picked Martha Stewart's Driftwood Gray. Such a pretty color. I decided to add castors to create height for the table. These don't have brakes and at first I was afraid I would set a drink on one of these and I would go to reach for it and the thing would be skating across the living room. But they stay still even on our wood floors. 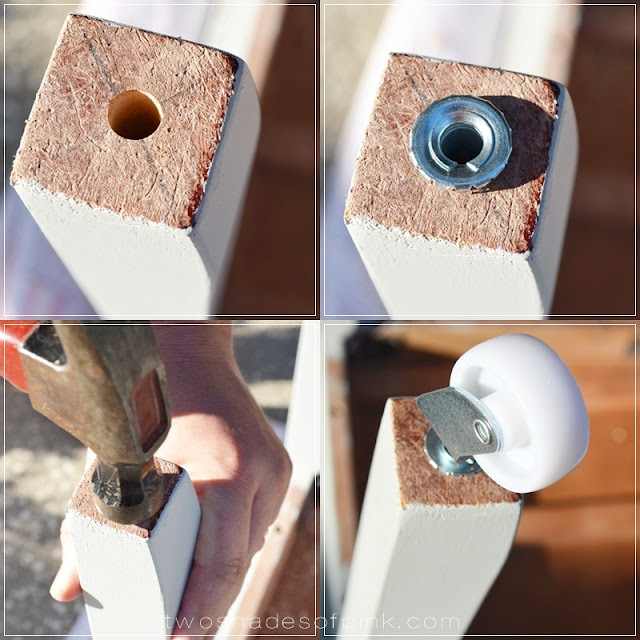 They are really easy to install...just drill a hole, insert the little casing, hammer it in, and then snap in the castor. Next, I used liquid nails to attach the bead board to the inside of the rattan inset. I put a blanket over it and laid free weights on the corners overnight to be sure it adhered. It worked great! My poor husband and I could not perfectly cut that stuff to save our weary souls and my man was about to heave the thing into oblivion. So I told him as long as it fit inside, I did not care if it was not perfect. I just filled the gaps with wood filler and left it at that. Does it have the second chance now at being all kinds of cottage cute now? I'm pretty smitten with them. Hugs to all you fabulous friends! 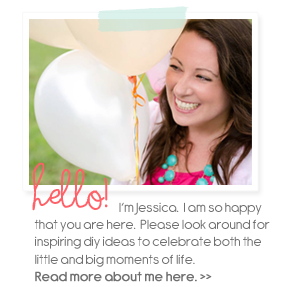 Jess - they turned out great! And yes . . . sanding and I are arch nemeses . . . I cannot stand to sand. I'm like you! I dont care!! bring on the wood filler!! BRING IT! What a charming transformation! Great work! What a pretty gray too. love the grey with the white insert. It looks fabulous! Great idea for the insert! Wow! What a dramatic change! 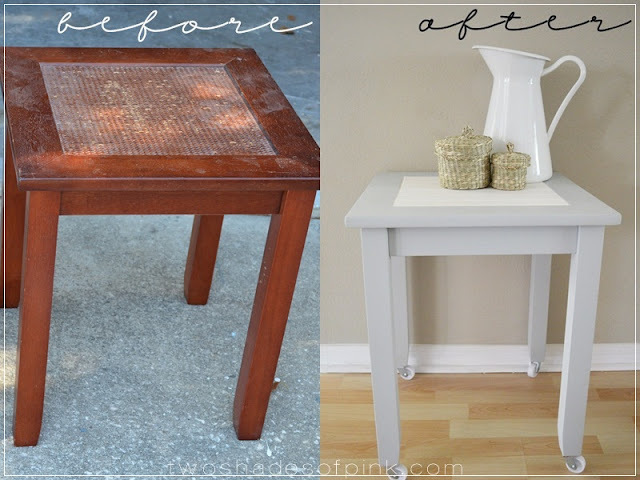 Love what you have done with these two side tables. Amazing transformation! These turned out fabulous my friend!! I love the bead board inserts! Such a great idea!! And dont't feel bad.....we put up a bead board backsplash a few weeks ago & my hubby couldn't get a straight cut to save his life either! Lucky for us, I was putting trim up to cover all of his crooked cuts!! Now it looks fab!! I'm hoping to post about it soon!! Anyway, LOVE, LOVE, LOVE your tables!! Great job girl!! Oh, I really love this! Such a great way to dress up that table. Gorgeous! this is so beautiful! what a smart idea to add the beadboard in the middle - I never would have thought of that. I also love the colors you chose. I might be doing this with my end tables soon! They are fantastic...what a beautiful re-do. Wow, who ever knew that tables from Walmart could look so good. You are so smart and creative! Great job!!! Looks so fresh and new. They turned out beautiful. You've done (again) a great job! Enjoy your new side tables! It came out really great! Good job! Amazing what a little paint can do. They look great. Im your newest follower, so please come visit me at PICKINandPAINTIN.blogspot.com and maybe you'll decide to follow me back?? Beautiful tables! That colour combo looks lovely - so classic! It looks absolutely adorable! Such a bright, lovely change! :-) You did a fabulous job. I love your little table!!! Great redo! I love the table, Jessica. Terrific make-over!!! Now why in the world don't I have any old tables to makeover? Oh yeah because my boys bust up everysingle thing I own!!! The couch I am sitting on actually has a spring that pops out the back when you sit down & hits the wall!!! But I don't even know if I want a new one until Bo starts school in another year...you know until after he gets how to use a scissors properly lesson! But I do love the cottage look you have going on! You could make a lot of money fixing things up! ....just another segment on your show!!!! I absolutely love it! I love cottage white things and never have been a fan of dark wood. You are so talented and creative! Love the little tables! And seriously had to start laughing when you mentioned sanding. Tommy has been sanding the loft beds he's building for the girls for about 4 days straight now:) Much easier said (or typed) than done!